Home EventsTraining, Communication, Collaboration, Support – What is Enhancing Business? Training, Communication, Collaboration, Support – What is Enhancing Business? 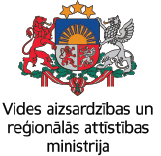 The training is based on a survey of business support opportunities in Latvia and Lithuania. First part – Creating added value through collaboration with customers, partners and competitors. Second part – What to do to be fun? What is the impact of social networks on success and cooperation? And at the end of event will be Discussions, consultations.